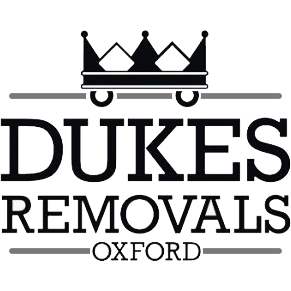 Welcome to Dukes house removals Oxford.Here at Dukes Removals we like to make sure we take every provision that your move goes as smooth as it possibly can.With years of experience in house removals in Oxford you are in safe hands. Our staff are trained, experienced and will move your belongings with great care. We have a full or part packing service where all your possessions will be packed neatly and safely for transportation. We can dismantle and assemble any of your furniture. We will wrap furniture so it is protected before removal and unwrap at new property. We provide all packing materials and only use new strong double walled removal boxes. We use wardrobe boxes for hanging rails which can be hired or bought from us. We aim to organise and plan your move so on the day it will go as smooth and efficient as it possibly can. Packing service includes all packing materials, all goods will be professionally wrapped or packed. Bedrooms: As standard we use cardboard wardrobe boxes for hanging rails which we will pack and hang in wardrobes at your new property so all you clothes are kept unwrinkled and dust free. Mattresses are covered and removled in a carry bag so they stay clean. Boxes are free to use but if you want to keep them you can buy them from us. Furniture: All furniture such as couches,beds,mattresses, etc covered with heavy plastic covers or wrapped with blankets/bubble wrap/blankets and shrink wrap before we move it. Electricial goods: TV plasma, printer, computer screens,sky box,hi-fi,bread maker. If you don't have the original box we will wrap with blankets and bubble warp and make boxes for each item. Pictures/mirrors/glass: Will be wrapped in bubble warp and placed somewhere safe on the lorry. We will label all boxes so you know which room they came from and whats inside them. Our removal team will arrive at a time previously arranged. We will wrap/pack and load all items from the premises onto the required removal vehicle(s) safely and effectively. The contents will then be transported to the new premises, where the removal team will unload the contents into your new property and/or storage facilities. We will unwrap and assemble any furniture and arrange rooms as you require. After we have finished we will dispose all rooms of wrapping materials and leave it as tidy as possible for you. If you have any inquiries please call Dukes House removals on 01865 803352.